You are going to Watch One Piece Episode 425 English dubbed online free episodes with HQ / high quality. Stream Anime One Piece Episode 425 Online English dub The Strongest Man in the Prison! Poison Man Magellan Appears! Luffy and Buggy find themselves in the Floor of Wild Beasts from Hell and fight the monsters there. Luffy defeats the powerful Basilisk with a single punch in Gear Third, destroying a guard station in the process and alerting the prison to his identity. Hancock meets with Magellan, the warden of the prison who ate the Venom Venom Fruit, and whose breath is poisonous. 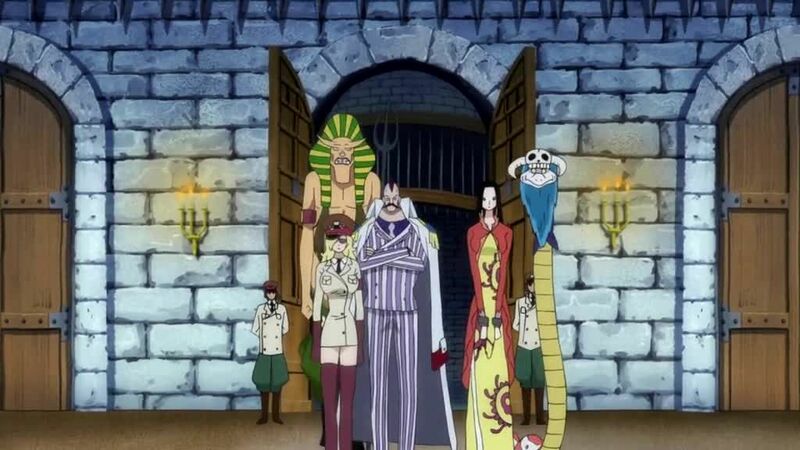 Buggy manages to free some prisoners, hoping to start a riot and escape in the confusion, but the prisoners return to their cells, terrified of the “boss” of the level. Luffy and Buggy encounter Mr. 3, who offers to help them get down to the third level. At Marine Headquarters, Sengoku is surprised that Kuma failed to finish off Luffy and that Luffy infiltrated Impel Down, but is confident that he will be captured. He then recalls the one man who escaped from Impel Down, Golden Lion Shiki.